The P.E.I. government needs to look harder at reducing the cost of the public sector workforce, says the Atlantic Institute for Market Studies. In a study released Tuesday, AIMS found P.E.I. employs more public sector workers than the national average. 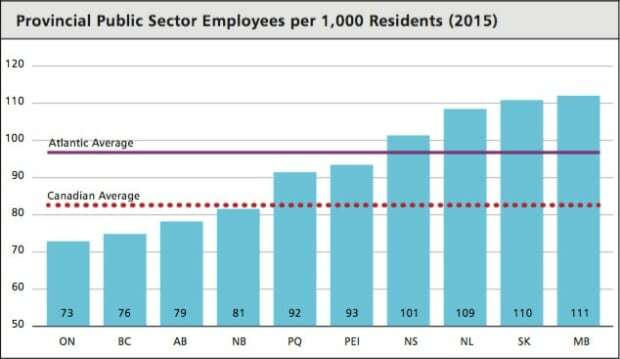 “Reducing the public sector wage bill is an important policy consideration in the Atlantic region,” said AIMS in a news release. The study looks at numbers from 2015. At 93 per 1,000 residents, P.E.I. ranked sixth in the country amongst the provinces for the number of public servants, and was above the national average of 83, but below the Atlantic average of 96. The data released by AIMS shows the public sector is shrinking on the Island. 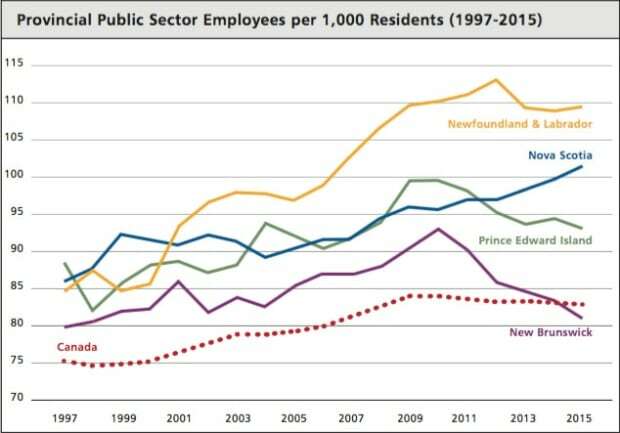 The rate of public sector jobs on P.E.I. peaked 100 per 1,000 residents in 2010. It has fallen every year since. Read this article on the CBC website.